Covenant theology (also known as covenantalism, federal theology, or federalism) is a conceptual overview and interpretive framework for understanding the overall structure of the Bible. It uses the theological concept of a covenant as an organizing principle for Christian theology. The standard form of covenant theology views the history of God's dealings with mankind, from Creation to Fall to Redemption to Consummation, under the framework of three overarching theological covenants: those of redemption, of works, and of grace. Covenentalists call these three covenants "theological" because, though not explicitly presented as such in the Bible, they are thought of as theologically implicit, describing and summarizing a wealth of scriptural data. Historical Reformed systems of thought treat classical covenant theology not merely as a point of doctrine or as a central dogma, but as the structure by which the biblical text organizes itself. The most well known form of Covenant Theology is associated with Presbyterians and comes from the Westminster Confession of Faith. Another form is sometimes called "Baptist Covenant Theology" or "1689 Federalism", to distinguish it from the standard covenant theology of Presbyterian "Westminster Federalism". It is associated with Reformed Baptists and comes from the Second London Baptist Confession of Faith of 1689. Methodist hermeneutics traditionally use a variation of this, known as Wesleyan covenant theology, which is consistent with Arminian soteriology. As a framework for biblical interpretation, covenant theology stands in contrast to dispensationalism in regard to the relationship between the Old Covenant (with national Israel) and the New Covenant (with the house of Israel (Jeremiah 31:31) in Christ's blood). 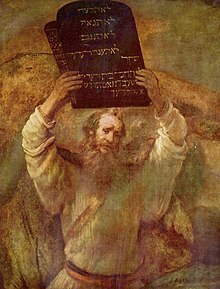 That such a framework exists appears at least feasible, since from New Testament times the Bible of Israel has been known as the Old Testament (i.e., Covenant; see 2 Cor 3:14 [NRSV], "they [Jews] hear the reading of the old covenant"), in contrast to the Christian addition which has become known as the New Testament (or Covenant). Detractors of covenant theology often refer to it as "supersessionism" or as "replacement theology", due to the perception that it teaches that God has abandoned the promises made to the Jews and has replaced the Jews with Christians as his chosen people on the Earth. Covenant theologians deny that God has abandoned his promises to Israel, but see the fulfillment of the promises to Israel in the person and the work of the Messiah, Jesus of Nazareth, who established the church in organic continuity with Israel, not as a separate replacement entity. Many covenant theologians have also seen a distinct future promise of gracious restoration for unregenerate Israel. God's covenantal relationship with his creation is not made automatically or out of necessity. Rather, God chooses to establish the connection as a covenant, wherein the terms of the relationship are set down by God alone according to his own will. The covenant of works (Latin: foedus operum, also called the covenant of life) was made in the Garden of Eden between God and Adam who represented all mankind as a federal head (Romans 5:12–21). God offered Adam a perfect and perpetual life if he did not violate God's single commandment, but warned that death would follow if he disobeyed that commandment. Adam broke the covenant, thus standing condemned as representative for all mankind. The term foedus operum was first used by Dudley Fenner in 1585, though Zacharias Ursinus had mentioned a covenant of creation in 1562. The concept of the covenant of works became commonly recognized in Reformed theology by 1590, though not by all; some members of the Westminster Assembly disagreed with the teaching in the 1640s. John Calvin writes of a probationary period for Adam, a promise of life for obedience, and the federal headship of Adam, but he does not write of a covenant of works. It is not referred to as a covenant in the opening chapters of Genesis. The covenant of grace promises eternal life for all people who have faith in Christ. God also promises the Holy Spirit to the elect to give them willingness and ability to believe. Christ is the substitutionary covenantal representative fulfilling the covenant of works on their behalf, in both the positive requirements of righteousness and its negative penal consequences (commonly described as his active and passive obedience). It is the historical expression of the eternal covenant of redemption. Genesis 3:15, with the promise of a "seed" of the woman who would crush the serpent's head, is usually identified as the historical inauguration for the covenant of grace. Reformed orthodox theologians taught that the covenant was primarily unilateral or monopleuric (Latin: foedus monopleuron) on the part of God, but also entailed conditions on the part of men. The conditions of the covenant of grace were spoken of as assumptive and confirmatory rather than duties required in order to receive the covenant. The covenant was therefore also bilateral or dipleuric (Latin: foedus dipleuron). Scholars have challenged the notion in contemporary scholarship that Genevan Reformers taught a unilateral and unconditional covenant relationship whilst the Rhineland Reformers taught a bilateral contractual relationship. Mark Jones, Richard Muller, J. Mark Beach, and John Von Rohr have argued that Leonard Trinterud's identification of the apparent polarisation between Calvin, Olevianus on the one hand and Luther, Bullinger, and the Puritans on the other hand is a faulty reading of history. The covenant of grace became the basis for all future covenants that God made with mankind such as with Noah (Genesis 6, 9), with Abraham (Genesis 12, 15, 17), with Moses (Exodus 19-24), with David (2 Samuel 7), and finally in the New Covenant founded and fulfilled in Christ. These individual covenants are called the biblical covenants because they are explicitly described in the Bible. Under the covenantal overview of the Bible, submission to God's rule and living in accordance with his moral law (expressed concisely in the Ten Commandments) is a response to grace – never something which can earn God's acceptance (legalism). Even in his giving of the Ten Commandments, God introduces his law by reminding the Israelites that he is the one who brought them out of slavery in Egypt (grace). The covenant of redemption is the eternal agreement within the Godhead in which the Father appointed the Son to become incarnate, suffer, and die as a federal head of mankind to make an atonement for their sin. In return, the Father promised to raise Christ from the dead, glorify him, and give him a people. Two of the earliest theologians to write about the covenant of redemption were Johannes Cocceius and John Owen, though Caspar Olevian had hinted at the idea before them. This covenant is not mentioned in the Westminster Standards, but the idea of a contractual relationship between the Father and Son is present. Scriptural support for such a covenant may be found in Psalms 2 and 110, Isaiah 53, Philippians 2:5–11 and Revelation 5:9–10. Some covenant theologians have denied the intra-Trinitarian covenant of redemption, or have questioned the notion of the Son's works leading to the reward of gaining a people for God, or have challenged the covenantal nature of this arrangement. Robert Letham has criticized the idea of a covenant between the persons of the trinity as a departure from trinitarian orthodoxy and tending towards tritheism, pointing to the historical fact of tritheistic heresy in Presbyterian circles during the generations immediately following the Westminster Assembly. The Noahic covenant is found in Genesis 8:20–9:17. Although redemption motifs are prominent as Noah and his family are delivered from the judgment waters, the narrative of the flood plays on the creation motifs of Genesis 1 as de-creation and re-creation. The formal terms of the covenant itself more reflect a reaffirmation of the universal created order, than a particular redemptive promise. The Abrahamic covenant is found in Genesis chapters 12, 15, and 17. In contrast with the covenants made with Adam or Noah which were universal in scope, this covenant was with a particular people. Abraham is promised a seed and a land, although he would not see its fruition within his own lifetime. The Book of Hebrews explains that he was looking to a better and heavenly land, a city with foundations, whose builder and architect is God (11:8–16). The Apostle Paul writes that the promised seed refers in particular to Christ (Galatians 3:16). According to covenant theology, Paul makes it clear that baptism is the external sign of faith in Christ ("...you were baptized into Christ..."), and that through faith in Christ the believer is part of the Abrahamic covenant ("Abraham's seed"). This provides the basis for the doctrine that baptism is the New Testament sign of God's covenant with Abraham, Galatians 3:26. Non-covenantal theology does not teach that the Abrahamic Covenant is inherited by gentiles, and thus presents a different view of baptism. The Mosaic covenant, found in Exodus 19–24 and the book of Deuteronomy, expands on the Abrahamic promise of a people and a land. Repeatedly mentioned is the promise of the Lord, "I will be your God and you will be my people" (cf. Exodus 6:7, Leviticus 26:12), particularly displayed as his glory-presence comes to dwell in the midst of the people. This covenant is the one most in view when referring to the Old Covenant. Although it is a gracious covenant beginning with God's redemptive action (cf. Exodus 20:1–2), a layer of law is prominent. Concerning this aspect of the Mosaic Covenant, Charles Hodge makes three points in his Commentary on Second Corinthians: (1) The Law of Moses was in first place a reenactment of the covenant of works; viewed this way, it is the ministration of condemnation and death. (2) It was also a national covenant, giving national blessings based on national obedience; in this way it was purely legal. (3) In the sacrificial system, it points to the Gospel of salvation through a mediator. Some commentators, like John Gill, see in the passage that begins in Deut. 29.1 a distinct and gracious covenant, involving circumcision of the heart, which foresees the embrace of the Gentiles and which is looked back upon as distinct from the Mosaic Covenant by the Apostle Paul in Romans 10.6–8. Other commentators, such as Douglas Van Dorn, recognize a separate priestly covenant, independent of the Mosaic covenant (which he takes as a prophetic covenant). In taken with the Davidic (kingly) covenant, this represents the three offices of Christ. Van Dorn argues this case on the basis of Nehemiah 13:29 which refers to "the covenant of the priesthood and the Levites", Malachi 2:8 who speaks of "the covenant of Levi," and Jeremiah 33:21 who points to the "covenant with the Levitical priests." Van Dorn argues that the covenant document for this covenant is the book of Leviticus itself. The Davidic covenant is found in 2 Samuel 7. The Lord proclaims that he will build a house and lineage for David, establishing his kingdom and throne forever. This covenant is appealed to as God preserves David's descendants despite their wickedness (cf. 1 Kings 11:26–39, 15:1–8; 2 Kings 8:19, 19:32–34), although it did not stop judgment from finally arriving (compare 2 Kings 21:7, 23:26–27; Jeremiah 13:12–14). Among the prophets of the exile, there is hope of restoration under a Davidic king who will bring peace and justice (cf. Book of Ezekiel 37:24–28). The New Covenant is anticipated with the hopes of the Davidic messiah, and most explicitly predicted by the prophet Jeremiah (Jer. 31:31–33). At the Last Supper, Jesus alludes to this prophecy, as well as to prophecies such as Isaiah 49:8, when he says that the cup of the Passover meal is "the New Covenant in [his] blood." This use of the Old Testament typology is developed further in the Epistle to the Hebrews (esp. chs. 7–10). Jesus is the last Adam and Israel's hope and consolation: he is the fulfillment of the law and the prophets (Matthew 5:17–18). He is the prophet greater than Jonah (Matt 12:41), and the Son over the house where Moses was a servant (Hebrews 3:5–6), leading his people to the heavenly promised land. He is the high priest greater than Aaron, offering up himself as the perfect sacrifice once for all (Hebrews 9:12, 26). He is the king greater than Solomon (Matthew 12:42), ruling forever on David's throne (Luke 1:32). The term "New Testament" comes from the Latin translation of the Greek New Covenant and is most often used for the collection of books in the Bible, but can also refer to the New Covenant as a theological concept. The Eucharist or the Lord's Supper was instituted by Jesus at a Passover meal, to which he gave a radical reinterpretation. The festival of Passover commemorates the Israelites' deliverance from Egypt – specifically, how the lamb's blood which God commanded them to place on their door posts caused the Angel of Death to "pass over" their dwellings, so that their firstborn might be spared from the final plague. The New Testament writers understand this event typologically: as the lamb's blood saved the Israelites from the plague, so Jesus' substitutionary death saves God's New Covenant people from being judged for their sins. Calvinism has generally viewed the Eucharist as a mysterious participation in the Real Presence of Christ mediated by the Holy Spirit (that is, real spiritual presence or pneumatic presence). This differs from Roman Catholicism and Lutheranism which believe in the Real Presence as an actual bodily presence of Christ, as well as from the generally Baptist position that the supper is strictly a memorial commemoration. In the Acts of the Apostles 2:38–39, the promise is seen to extend to the children of believers as it always was in the Abrahamic Covenant. The Biblical covenants between God and man include signs and seals that visibly represent the realities behind the covenants. These visible signs and symbols of God's covenant redemption are administered in a corporate manner (for instance, to households — see Acts 16:14–15; 16:31–34), not in an exclusively individualistic manner. Baptism is considered to be the visible New Testament sign of entrance into the Abrahamic Covenant and therefore may be administered individually to new believers making a public profession of faith. Paedobaptists further believe this extends corporately to the households of believers which typically would include children, or individually to children or infants of believing parents (see Infant baptism). In this view, baptism is thus seen as the functional replacement and sacramental equivalent of the Abrahamic rite of circumcision (Colossians 2:11–14) and symbolizes the internal cleansing from sin, among other things. Credobaptist Covenant theologians (such as the Baptists Benjamin Keach, John Gill, and Charles Spurgeon) hold that baptism is only for those who can understand and profess their faith, and they argue that the regulative principle of worship, which many paedobaptists also advocate and which states that elements of worship (including baptism) must be based on explicit commands of Scripture, is violated by infant baptism. Furthermore, because the New Covenant is described in Jeremiah 31:31–34 as a time when all who were members of it would have the law written on their hearts and would know God, Baptist Covenant Theologians believe only those who are born again are members of the New Covenant. The most well known form of Covenant Theology is associated with Presbyterians (paedobaptists) and comes from the Westminster Confession of Faith. Another form is sometimes called "Baptist Covenant Theology" or "1689 Federalism", to distinguish it from "Westminster Federalism", and is associated with Reformed Baptists (credobaptists) and comes from the Second London Baptist Confession of Faith, published in 1689. The principal difference between these two variants of Covenant Theology is their understanding of the Covenant of Grace. Standard Westminster Covenant Theology sees the Covenant of Grace beginning with The Fall in Genesis 3, and continuing through the Old Covenant and the New Covenant, under the same "substance" but different "administrations". The Covenant of Grace, the Old Covenant, and the New Covenant then, all have the same substance though only differ in the fact that the Old Covenant and the New Covenant constitute two separate administrations of that single substance. Covenant theology under the Second London Baptist Confession, in contrast, also sees the Covenant of Grace as beginning with The Fall in Genesis 3, and continuing through the Old Covenant and the New Covenant. But it sees the substance of the Covenant of Grace as being the same as the New Covenant, though not the Old Covenant. The Covenant of Grace, then, is the same thing as the New Covenant. As such, the Covenant of Grace coexists with the Old Covenant though is not the Old Covenant. Instead, under the Old Covenant it is a series of promises that point towards the New Covenant, and won't be realized until that point. The Westminster Confession of Faith outlines this "one substance, two administrations" understanding by specifying that under the Old Covenant, the covenant was "administered by promises, prophecies, sacrifices, circumcision, the paschal lamb, and other types and ordinances", while under the New Covenant, the covenant is administered by "the preaching of the Word, and the administration of the sacraments" so that "there are not, therefore, two covenants of grace differing in substance, but one and the same under various dispensations. In contrast, the Second London Baptist Confession of Faith condenses this all down to say that the Covenant of Grace was revealed progressively over Old Testament history after Genesis 3 "by further steps, until the full discovery thereof was completed in the New Testament." Since the Covenant of Works and the Covenant of Grace are the only redemptive covenants, stemming from the Covenant of Redemption, salvation is only possible through the Covenant of Grace, as in the Covenant Theology of standard Westminster pedobaptist federalism. Between The Fall in Genesis 3 and the New Covenant are several other covenants, in particular the covenant of Abraham, the covenant of Moses, and the covenant of David. But these covenants are "works and law" covenants and not "redemptive" covenants, since they exist only for specific earthly purposes in space and time, such as to allow Israel to live in the promised land under the conditions given in the covenant. Though their substance is different from the Covenant of Grace, and are therefore not part of that covenant, they do point to the promises in that covenant. They do this by drawing on typology, and as such consist of "types" and "antitypes", where the "type" is the explicit purpose of that covenant, but the "antitype" is the way in which that covenant points towards the promises of the Covenant of Grace through the New Covenant. Salvation was therefore possible for people under the Old Covenant through the Covenant of Grace if they had saving faith in these promises. Covenant theology under Westerminster Federalism allows paedobaptism since it sees a greater continuity between the Old Covenant and the New Covenant. Covenant theology under 1689 Federalism, in contrast, supports credobaptism under the regulative principle since it sees less direct continuity between the Old Covenant and the New Covenant, even if it still sees major continuity through the overarching Covenant of Grace. Concepts foundational to covenant theology can be found in the writings of Church Fathers such as Irenaeus and Augustine. Huldrych Zwingli and Johannes Oecolampadius were among the first reformers to speak of God's salvation economy under the categories of a covenant of works and a covenant of grace. John Calvin (Institutes 2:9–11), like Heinrich Bullinger (A Brief Exposition of the One and Eternal Testament or Covenant of God), focused on the continuity of the covenant of grace, but taught the substance of what became classic covenant theology in terms of Law and Gospel. Early post-reformation writings, including Zacharius Ursinus (1534–83) in Commentary on the Heidelberg Catechism (published posthumously, 1591), Caspar Olevianus (1536–87) in Concerning the Substance of the Covenant of Grace between God and the Elect (De substantia foederis gratuiti inter deum et electos, 1585), and Scottish Theologian Robert Rollock (1555–99) in A Treatise of our Effectual Calling (Tractatus de vocatione efficaci, 1597), developed the covenant of works and covenant of grace scheme along the lines of the law-gospel distinction. Classical statements of covenant theology can be found in the British Westminster Confession of Faith (particularly chap. 7, 8, 19), as well as in the writings of English theologians such as John Owen (1616–83), Biblical Theology, and An Exposition of the Epistle to the Hebrews. The classical statements among 17th century continental theologians include Johannes Cocceius (c. 1603–69) in The Doctrine of the Covenant and Testament of God (Summa doctrinae de foedere et testamento dei, 1648), Francis Turretin (1623–87) in his Institutes of Elenctic Theology, and Hermann Witsius (1636–1708) in The Economy of the Covenants Between God and Man. It may also be seen in the writings of Jonathan Edwards (1703–58) in Collected Writings of Jonathan Edwards (Vol 2, Banner of Truth edition, p. 950). Recent well-known covenant theologians in the United States include Michael Horton, J. Ligon Duncan III, Meredith G. Kline, J. I. Packer, Richard L. Pratt Jr., O. Palmer Robertson and R. C. Sproul. This system is taught at schools such as Covenant Theological Seminary, Greenville Presbyterian Theological Seminary, Knox Theological Seminary, Reformed Theological Seminary, Westminster Theological Seminary, and Westminster Seminary California. There have been recent developments in classical covenant theology by Reformed and Presbyterian pastors and theologians. Wesleyan covenant theology, a variation of classical covenant theology, was designed by John Wesley, the founder of Methodism. Sanctions: curses and blessings (cf. Deuteronomy 28; 31–34). Kline has argued that comparisons between the suzerain-vassal treaties and royal grants of the Ancient Near East provide insight in highlighting certain distinctive features of the Mosaic covenant as a law covenant, in contrast with the other historic post-Fall covenants. Many who have embraced Kline's insights have still insisted, however, in accordance with the Westminster Confession of Faith, that the Mosaic covenant was fundamentally an administration of the Covenant of Grace. A number of major 20th-century covenant theologians including Karl Barth, Klaas Schilder, and John Murray have departed from the traditional recognition of a Covenant of Works in classical covenant theology to develop a monocovenantal scheme subsuming everything under one Covenant of Grace. The focus of all biblical covenants is then on grace and faith. This has not been developed consistently between the various theologians. For example, Barth, influential in the mainline churches and in certain evangelical circles, conceived of grace as the fundamental reality underlying all of creation. Influential among more conservative Presbyterian and Reformed churches, Murray acknowledged the traditional concept of a works principle as a condition for life with Adam in the Garden of Eden, comparing Adam's works to the works of Christ. He disputed its label as a covenant, however, preferring to call this arrangement the Adamic administration. If meritorious works could not be predicated of Jesus Christ as second Adam, then obviously there would be no meritorious achievement to be imputed to his people as the ground of their justification-approbation. The gospel invitation would turn out to be a mirage. We who have believed on Christ would still be under condemnation. The gospel truth, however, is that Christ has performed the one act of righteousness and by his obedience of the one the many are made righteous (Rom 5:18, 19)…. Underlying Christ's mediatorship of a covenant of grace for the salvation of believers is his earthly fulfillment, through meritorious obedience, of his heavenly covenant of works with the Father. …What begins as a rejection of works ends up as an attack, however unintentional, on the biblical message of saving grace. On the other hand, Reformed theologians more in line with Murray tend to say that works were never meant to be the basis for grace, but that grace precedes the call for obedience. Consequently, works are the necessary response to grace and not the precondition for it. For example, Michael Williams writes, "The function of law within Scripture is the maintenance of relationship, not the creation of relationship. Legal obligation is not the precondition for life and relationship. Rather, life and relationship form the necessary environment for obligation." While this view still affirms the necessity of the merit of Christ, it departs from Kline's construal of merit as a fundamental principle of the covenant of works. The point of divergence is Wesley’s conviction that not only is the inauguration of the covenant of grace coincidental with the fall, but so is the termination of the covenant of works. This conviction is of supreme importance for Wesley in facilitating an Arminian adaptation of covenant theology—first, by reconfiguring the reach of the covenant of grace; and second, by disallowing any notion that there is a reinvigoration of the covenant of works beyond the fall. This covenant, the blood of Christ, that is, the pouring forth of his blood as a sacrficial victim, at once procured and ratified; so that it stands firm to all truly penitent and contrite spirits who believe in him: and of this great truth, the Lord's Supper was the instituted sign and seal; and he who in faith drinks of the cup, having reference to its signification, that blood of Christ which confirms to true believers the whole covenant of grace, is assured thereby of its faithfulness and permanence, and derives to himself the fulness of its blessings. Wesleyan covenant theology is also seen in the Methodist theology of baptism, e.g. when introducing this sacrament, United Methodist Book of Worship teaches: "The Baptismal Covenant is God's word to us, proclaiming our adoption by grace, and our word to God, promising our response of faith and love. Those within the covenant constitute the community we call the Church". In Wesleyan covenant theology, the source of the covenant of grace is Jesus Christ, as "the prophet, priest, and king, the head and saviour of his church, the heir of all things and judge of the world." Wesleyan covenant theology, unlike Reformed classical covenant theology, emphasizes the fact that though God iniates a covenant with humanity, humans are given the free will to follow Him, and "God is always the innocent party in cases where salvation is lost". It is thus frequent for Methodist churches to conduct Covenant Renewal Services, so that Methodists can personally renew their covenant with the Creator; this liturgy is traditionally preceded by prayer and fasting. ^ The Distinctiveness of Baptist Covenant Theology. Pascal Denault. Page 10-20. ^ a b c d e f Rodes, Stanley J. (25 September 2014). From Faith to Faith: John Wesley’s Covenant Theology and the Way of Salvation. James Clarke & Co. pp. 7, 62–76. ISBN 9780227902202. ^ Owen, John, "Exercitation 18", Complete Works, 17, p. 560 . ^ Bonar, Horatius (July 1870), "The Jew", The Quarterly Journal of Prophecy . ^ Letham 2009, pp. 227–28. ^ Letham 2009, p. 232. ^ Letham 2009, pp. 233–34. ^ Bierma, Lyle D (1997). German Calvinism in the Confessional Age: The Covenant Theology of Caspar Olevianus. Grand Rapids, MI: Baker Book House. ^ Letham 2009, p. 235. ^ Letham 2009, p. 236. ^ Van Dorn, Douglas (2014). Covenant Theology: A Reformed Baptist Primer. Erie, Colorado: Waters of Creation. pp. 102–108. ISBN 978-0-9862376-0-7. ^ Witsius, Hermann (1804). The economy of the covenants, between God and man: Comprehending a complete body of divinity. 1 (2nd American ed.). New York: Thomas Kirk. p. 126. ^ Schreiner, Thomas (2008). New Testament Theology: Magnifying God in Christ. Grand Rapids: Baker. p. 648. ISBN 978-0-8010-2680-5. ^ The Distinctiveness of Baptist Covenant Theology. Pascal Denault. Page 41-44. ^ Horton, Michael S (2002). "Law, Gospel, and Covenant: Reassessing Some Emerging Antitheses". Westminster Theological Journal. 4: 279–87. ^ Kleine, Meredith (1989). The Structure of Biblical Authority. Eugene, OR: Wiph and Stock Publishers. ^ Robertson, O Palmer (2003). The Current Justification Controversy. Unicoi, TN: Trinity Foundation. ^ Murray, John. Studies in Theology. Collected Writings of John Murray. Edinburgh, UK: Banner of Truth. pp. 217–8. ^ Kline 2000, pp. 108–9. ^ Estelle, Bryan D; Fesko, JV; VanDrunen, David, eds. (2009). The Law is Not Faith. Phillipsburg, NJ: Presbyterian & Reformed. ^ Sproul, RC (1999). Getting the Gospel Right. Grand Rapids, MI: Baker Books. p. 160. ^ Williams, Michael (2005). Far as the Curse is Found. Phillipsburg, NJ: P&R Publishing. p. 74. ^ Wesley, John. "Sermon 6 - The Righteousness Of Faith". The Wesley Center Online. Retrieved 27 June 2017. ^ a b c Crowther, Jonathan (1815). A Portraiture of Methodism. p. 224. ^ Tucker, Karen B. Westerfield (27 April 2011). American Methodist Worship. Oxford University Press. p. 117. ISBN 9780190454203. ^ The United Methodist Book of Worship: Regular Edition Black. United Methodist Publishing House. 5 April 2016. p. 91. ISBN 9781426735004. ^ Rodes, Stanley J. (25 September 2014). From Faith to Faith: John Wesley’s Covenant Theology and the Way of Salvation. James Clarke & Co. p. 224. ISBN 9780227902202. For Wesley as for his Calvinist counterparts, every provision of grace throughout all ages flows only and always from the reonciling work of Christ. ^ Campbell, Ted A. (1 October 2011). Methodist Doctrine: The Essentials, 2nd Edition. Abingdon Press. p. 40. ISBN 9781426753473. ^ a b Marquardt, Manfred; Klaiber, Walter (1 January 2002). Living Grace: An Outline of United Methodist Theology. Abingdon Press. pp. 112–115. ISBN 9781426756504. ^ Reasoner, Vic (Fall 2000). "An Arminian Covenant Theology". Arminian Magazine. Fundamental Wesleyan Publishers. 18 (2). Gill, John, "29", Deuteronomy, Exposition of the Old and New Testament, Sacred texts, retrieved 2014-07-01 . Jones, Mark (2011), "The 'Old' Covenant", in Haykin, Michael A.G.; Jones, Mark (eds. ), Drawn Into Controversie: Reformed Theological Diversity and Debates Within Seventeenth-Century British Puritanism, Göttingen, DE: Vandenhoeck & Ruprecht . Letham, Robert (2009), The Westminster Assembly: Reading Its Theology in Historical Context, The Westminster Assembly and the Reformed Faith, Phillipsburg, NJ: P&R Publishing, ISBN 978-0-87552-612-6 . Ball, John (2006) , A Treatise of the Covenant of Grace (facsimile reprint)|format= requires |url= (help), Dingwall: Peter and Rachel Reynolds, ISBN 1-84685-278-1 . Faber, Jelle (1996), "American Secession Theologians on Covenant and Baptism", in Schilder, Klas (ed. ), Extra-Scriptural Binding: a New Danger [i.e., to Dutch Reformed theological confessionalism], Neerlandia, Alta, CA: Inheritance, ISBN 0-921100-46-9 . Horton, Michael (2006), God of Promise: Introducing Covenant Theology, Grand Rapids: Baker Books, ISBN 0-8010-1289-9 . Kline, Meredith G (2000), Kingdom Prologue: Genesis Foundations for a Covenantal Worldview, Overland Park: Two Age, ISBN 0-9706418-0-X . Robertson, O. Palmer (1981), Christ of the Covenants, Phillipsburg: Presbyterian & Reformed, ISBN 0-87552-418-4 . ——— (2000), The Israel of God: Yesterday, Today and Tomorrow, Phillipsburg: Presbyterian & Reformed, ISBN 0-87552-398-6 . Schilder, Klas (1996), Extra-Scriptural Binding: a New Danger [i.e., to Dutch Reformed theological confessionalism], Neerlandia, Alta, CA: Inheritance, ISBN 0-921100-46-9 . Van Til, Cornelius (1955), "Covenant Theology", in Loetscher, LA (ed. ), The New Schaff-Herzog Twentieth Century Encyclopedia of Religious Knowledge, Grand Rapids: Baker, ISBN 99914-2-980-8 . Dulles SJ, Avery (November 2005). "The Covenant with Israel". First Things. Retrieved 8 July 2018. Hahn, Scott (1998). A Father Who Keeps His Promises: God's Covenant Love in Scripture. Cincinnati, Ohio: Servant Books. p. 294. ISBN 978-0-89283-829-5. Retrieved 8 July 2018.